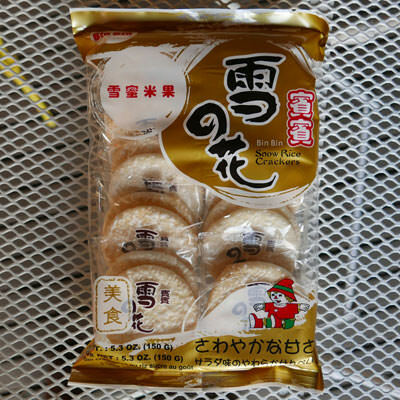 These large round crackers are made of rice flour and the top is coated with a sweet frosting. There are two large round crackers wrapped in plastic and ten of those per package. Bin Bin manufactures in a modern facility with ISO 9002 certification. 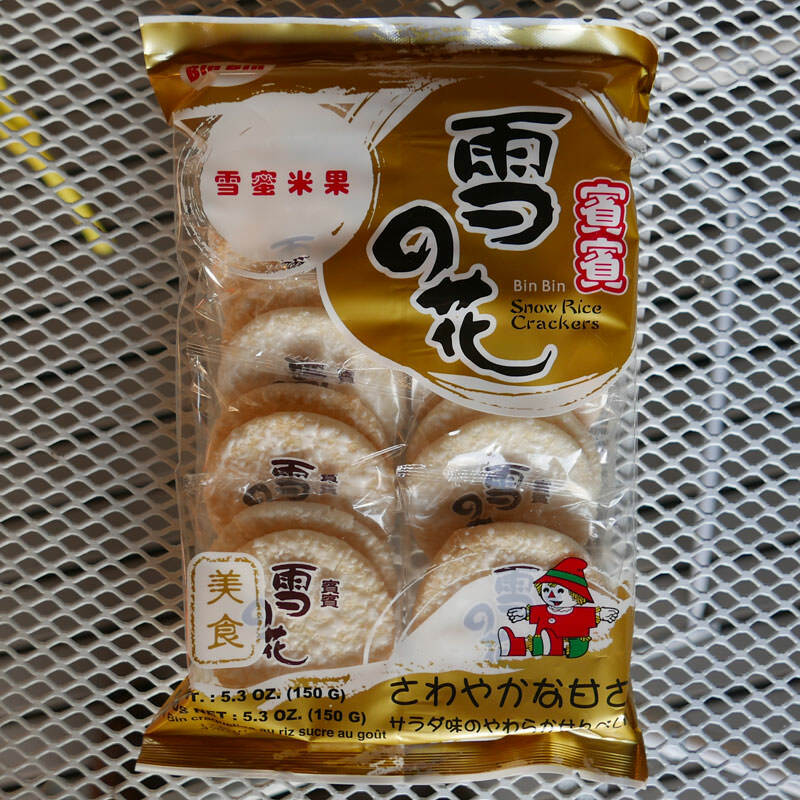 Ingredients: Rice, rice bran oil, sugar, modified tapioca starch, salt, msg, egg white powder.